Read Gabriella's Story "One of the things that makes YU so special is the professors...I always liked Biology, and now I love it." Read Talya's Story "When I was deciding between staying in Canada for university or studying abroad, I realized that I wanted more than 4 years of school, I wanted an experience." Read Michael's story "YU wasn’t just the best place for me, it was the ONLY place for me." Read Bella's story "The professors at YU are passionate about what they teach, and their love of their respective subject matter is contagious." Read Ilan's story "I came to Yeshiva University because I wanted a solid education without limits." Read Meredith's story "Working at Microsoft is a dream come true." Read Sarah's story "YU has such a tight-knit and welcoming community...It is wonderful to go to a university where the students are highly motivated but not competitive against one another." 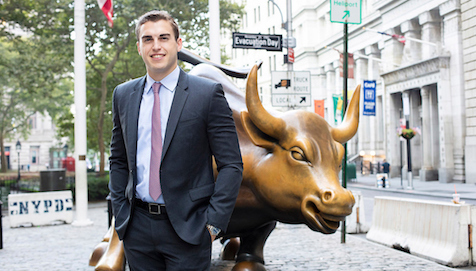 Read Maxwel's story "Coming to Yeshiva University was an easy choice. .. What I didn’t imagine was how the school would change me." Read Mira's story "I’ve grown so much here: religiously, academically and socially. My best friends are the ones I’ve made while at YU." Read Jake's story "Attending college in a place where the community shares my values and support of Israel is irreplaceable." Read Rachel's story "The education department at YU is really strong. They have experience, such a breadth of knowledge...and their passion is so inspiring." Read Isaac's story "I was grateful for the flexibility to try different study programs until I found my niche." 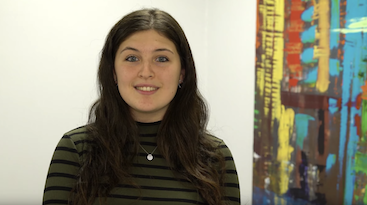 Read Ayelet's story "When it comes to the benefits of a YU education, I could go on and on. The environment here is so positive, I really never considered attending college anywhere else." Read Alex's story "I knew I wanted to attend a university where I could get a good academic foundation while engaging in serious Torah learning. No other nationally ranked university has this type of intense Jewish learning woven seamlessly into students’ daily schedules." YU Student Michael Kohan volunteered in Hurricane Harvey Relief efforts in Texas. Take a virtual tour of studying, living, and exploring your potential at Yeshiva. "YU has that family environment, where everyone from the professors and your fellow students to the staff have your back." “YU wasn’t just the best place for me, it was the ONLY place for me." "When it comes to the benefits of a YU education, I could go on and on. The environment here is so positive, I really never considered attending college anywhere else."